In a recent tutorial I taught you how to create simple transparent tooltips with a few lines of CSS and jQuery. Today we will build some more advanced tooltips, based on the aforementioned tutorial. 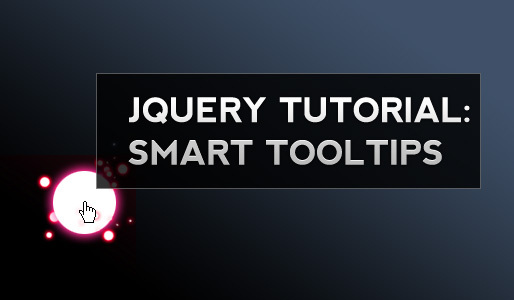 Before I started to delve deeper into this topic, I thought you have to use at least a plugin, but to get some basic tooltips all you need are about 10 lines of CSS and jQuery Code. Those who use Jquery (which is my prefered Framework atm, because of the steeper learning curve) can use the plugin, recently written by Jeremy Martin at jMars blog. I haven’t tested it for now but looking at the preview examples, it seems to work pretty well. Hope I could help those of you who seek aid in creating a similar menu.